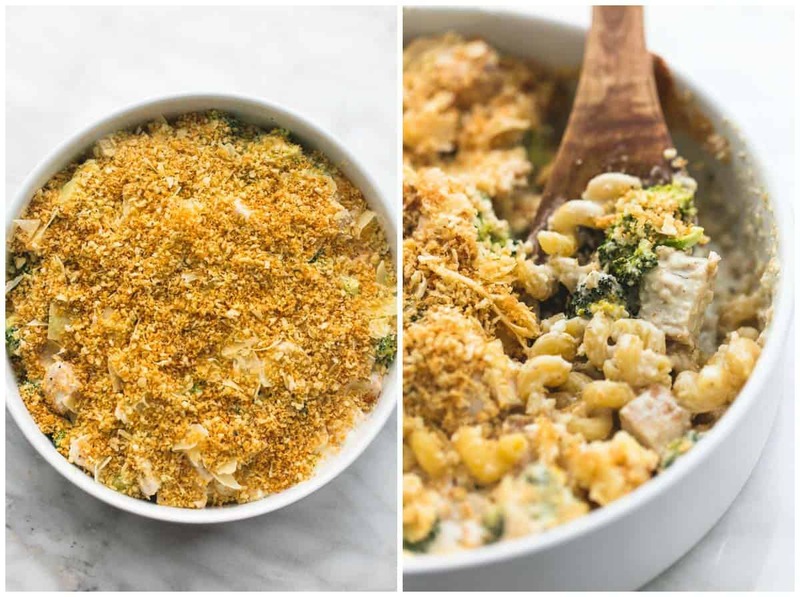 You’ll want to make this easy baked chicken broccoli alfredo every week with its saucy parmesan filling and toasted breadcrumb topping. We are talking creamy, cheesy baked pasta comfort food today and you are going to LOVE it. There’s nothing not to like about this dish. 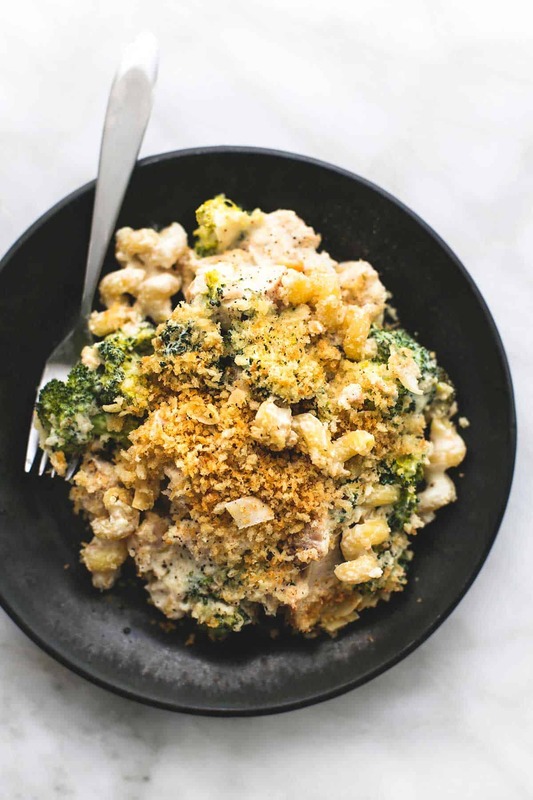 It involves pasta, chicken, broccoli, and the creamiest parmesan white sauce, aka: alfredo sauce. Top all of that off with more parmesan cheese and a crispy buttery crumb topping and I’m in baked alfredo heaven. You can cook your chicken as part of the recipe by grilling or searing it in a pan on the stove, then dicing into bite-sized pieces OR, you can use shredded chicken (fresh or leftover) for this dish. It’s one of the things that make it such a great go-to. I used a short spiral pasta for mine but feel free to swap it out for macaroni or penne if that’s your preference. Whatever you do though, don’t skip that parmesan and crispy golden crumb topping. It. is. everything. 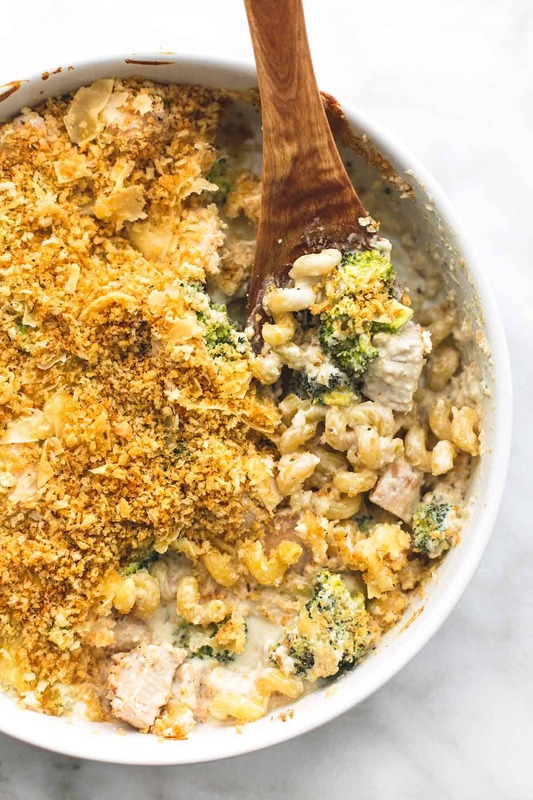 You'll want to make this easy baked chicken broccoli alfredo every week with its saucy parmesan filling and toasted breadcrumb topping. Preheat oven to 375 degrees and grease a casserole or baking dish. Prepare the sauce by first melting the butter in a large skillet over medium-high heat. Stir in flour. Gradually whisk in milk until sauce is smooth and thickened. Stir in cream cheese and 2/3 cup parmesan cheese until melted and incorporated. Stir in salt, pepper, and garlic powder. Remove from heat. Combine broccoli, chicken, noodles, and sauce in a large bowl and stir to combine. Transfer mixture to prepared baking dish. Sprinkle remaining parmesan cheese over the top. Make the topping by melting butter in a pan or skillet. Stir in breadcrumbs and Italian seasoning and stir until breadcrumbs are golden brown. 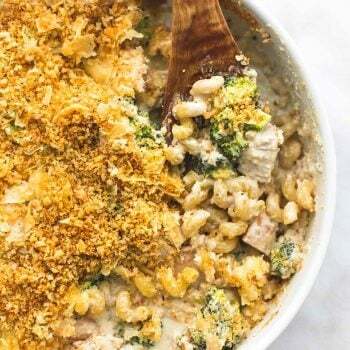 Sprinkle over parmesan cheese and chicken broccoli mixture. Bake for 15 minutes until parmesan cheese is melty. Serve warm. For diced chicken, like I used in this recipe, simple season a medium-large chicken breast with salt and pepper on both side and bake or cook in a pan on the stove until white throughout and juices run clear when you cut into the chicken. Then dice and proceed with recipe as written. hey girl- I would so love this for lunch today! yummy! This is my favorite combination of foods. 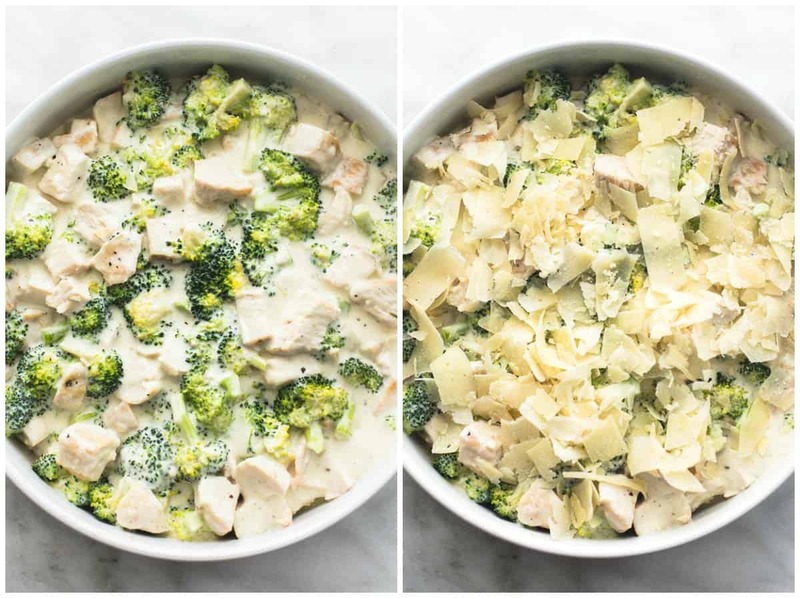 Broccoli alfredo with chicken, yum! Perfect vitamins enriched Mr. Alfredo ! I’m in. Thank you ! That looks so delicious! Also, I love your black matte plates! So raw and chic! could you use something other than cream cheese? I have never been a huge fan of it. Hi Laura – I’ve never used a substitute for cream cheese in this soup, so I can’t guarantee how the flavor will turn out, but you can substitute cream cheese for 1 cup pureed cottage cheese [or] 1 cup plain yogurt, strained overnight in a cheesecloth” for 1 cup of cream cheese. Hope that helps! Can you substitute the sauce for a jar alfredo sauce?